After paying tribute to Aaliyah last week with their remix of "One In A Million", Urban Noize return right on time for another one of their anticipated weekly remixes. 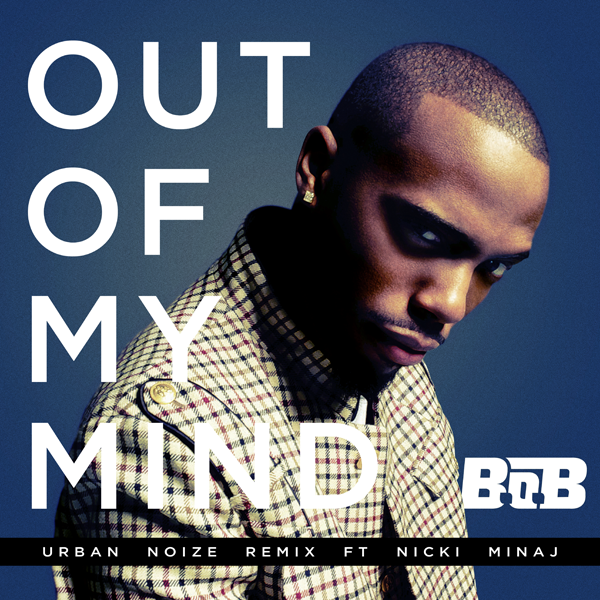 This time the Florida production duo set their sights on reworking B.o.B's new Nicki Minaj assisted single "Out Of My Mind", off the ATLien's sophomore album, Strange Clouds. Original produced by Dr. Luke and Billboard, the already high-energy, spastic track gets a fitting bass-friendly revamp with the addition of some fresh new percussion and some face melting backing guitar. If I had to use one word to describe Urban Noize it would definitely would have to be consistent. Check out UNE's latest remix below and revisit their still fresh remix EP, Mr. West which finds the duo tackling some select works of Kanye West. And, if you haven't already grab a copy of Strange Clouds which is available now via Atlantic Records on iTunes and other digital retailers.